I have been keeping this elegant bottle of absinthe by my side for about a year now. Just look at that wormwood sketch on the glass! Exquisite. I bought Absinthia from Alchemy down the block, a high-end purveyor of quality alcoholic beverages. They were doing a tasting with owner and distiller of Absinthia’s Bottled Spirits, J. Absinthia Vermut (yes, that is her name), and I fell in love with it right away. 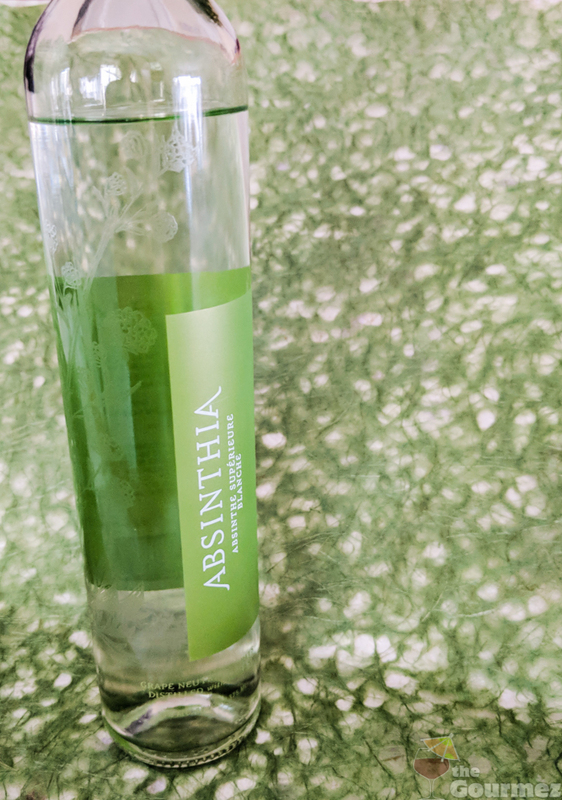 Since then, Absinthia has gone on to win gold medals at the San Francisco World Spirits Competition and the New York International Spirits Competitions. It is worthy of those accolades. The nose is soft spice, with a hint of pepper, cinnamon, and sticky moss. A straight sip of it flits around on the tongue and tastes naturally sweet. Apparently, the sweetness comes from using fresh wormwood following the Swiss style of distillation. Absinthia is made of an organic blend of ingredients and a liquor from biodynamically sourced grapes. Just before it louches, a lovely fresh mint green phosphorescence blooms, then fades into the typical milky white. I prefer a 2:1 water to spirit ratio for this one, though 1.5 might also suffice if you prefer a little more heat in your drink. Hold back on the sugar; try using only half a cube at first. Post-louche, the Absinthia Blanche is very smooth with anise as the dominant flavor note and the slightest hint of toasted coriander, followed by a spray of pine. The mouthfeel is velvety, and the aftertaste a slow burn of peppercorn and wintergreen mint. 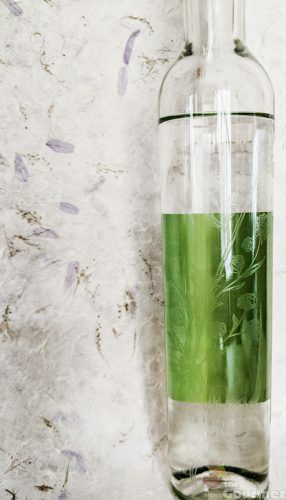 This is a very approachable absinthe for first timers, and a lovely everyday extravagance for aficionados of the green fairy. Time to go get my next bottle. Head to Absinthia’s website to find out where you can get your own. A balanced, Swiss-style absinthe complete with complexities and a true wormwood note. If you like the flavors found in absinthe but find some classic formulations a bit bigger and louder than you enjoy; if you enjoy the absinthe ritual but yearn for something more approachable; if you wish for a pretty absinthe in a smaller bottle at a corresponding price point; or if you look for opportunities to support products made by and businesses owned by women — consider Absinthia! Sampled many times over the Year of Our Green Fairy 2018.